What Is a Care Manager in Social Work? A care manager in social work is the person responsible for coordinating a care plan for clients served by a social services group or organization. Also known as service plan managers, these individuals assess the needs of clients in their care and collaborate with other caregivers and service providers to help clients reach goals and live more productive lives. Care managers work in geriatric settings, with developmentally disabled children and adults, in family services, and in a variety of other service programs and settings. Many care managers have master’s degrees in social work, but other care managers have bachelor’s degrees in the social sciences, special education or healthcare. Most care management positions require applicants to have some education or experience in social work or a related field, and pay scales vary based on the education required for the position. Care management requires the ability to work with a care team to create and implement plans that help an individual or family. For adults with developmental disabilities, a care manager will work closely with group home staff, job coaches, and medical staff. Service plan managers in retirement communities and nursing homes work closely with nursing staff, counselors, medical doctors and families of the elderly in order to establish plans for health care, social involvement, mental health, and other aspects of life vital to the wellbeing of those served by the community or nursing home. Care managers working with family services create service plans that assist clients in caring for children, affording healthcare, acquiring necessary housing or food assistance, and more. Care managers in social work need to be able to communicate effectively with a wide range of people. As a case manager, you need to be able to communicate with your colleagues, caregivers and other professionals. You will also need to communicate with a variety of clients and client family members. Care managers that work with families need to be able to communicate well with parents while at the same time looking out for the best interests of children. 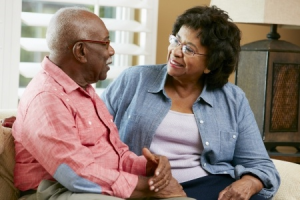 Geriatric care management requires the ability to diplomatically handle family meetings in which a variety of personal feelings might be expressed and emotions might run high. Care managers interact on a daily basis with people from a wide range of educational backgrounds, and in this career you may need to effectively communicate with those who have very low IQs as well as those who are highly intelligent. Certification is also needed in care management. More information on the different certification can be found at the Commission for Case Manager Certification’s Website. Care managers help a variety of clients and their families get the services that they need. Care management helps to streamline many social services, and managers that coordinate care and services are responsible for making sure that limited resources are used to the best advantage of clients. You can become a care manager in social work with a bachelor’s degree in one of the social sciences, but you may wish to complete a master’s in social work in order to earn more or acquire a better position in the field.